The Times of India (TOI), in an ad released on Wednesday, has accused Hindustan Times (HT) of misrepresenting IRS figures to claim leadership in Mumbai + Delhi NCR. The HT strategy will mislead the marketers and advertisers into taking wrong decisions, TOI said. 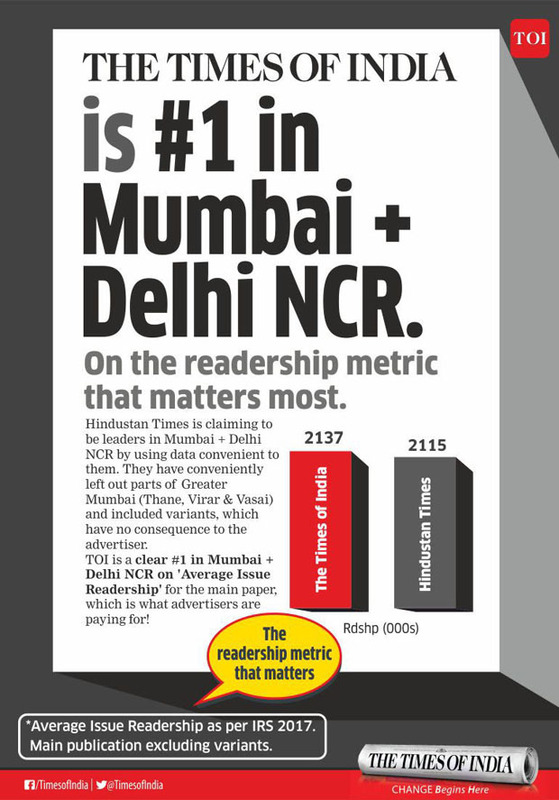 “Hindustan Times is claiming to be leaders in Mumbai + Delhi NCR by using data convenient to them. They have conveniently left out parts of Greater Mumbai (Thane, Virar & Vasai) and included variants, which have no consequence to the advertiser,” said the advertisement. The ad claimed that TOI was a clear No. 1 in both the markets on ‘average issue readership’ for the main paper, which is what advertisers are paying for. 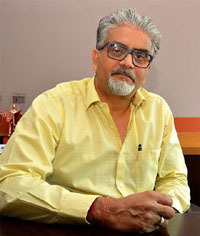 TOI claimed to have garnered 21,37,000 readers in the combined markets as compared to HT’s 21,15,000 (AIR, Main publication excluding variants). “The industry needs to be transparent, fair and honest. We, being the leaders in the industry, that's what we believe in and we want to perpetrate and want other people to follow the same rules,” he added.